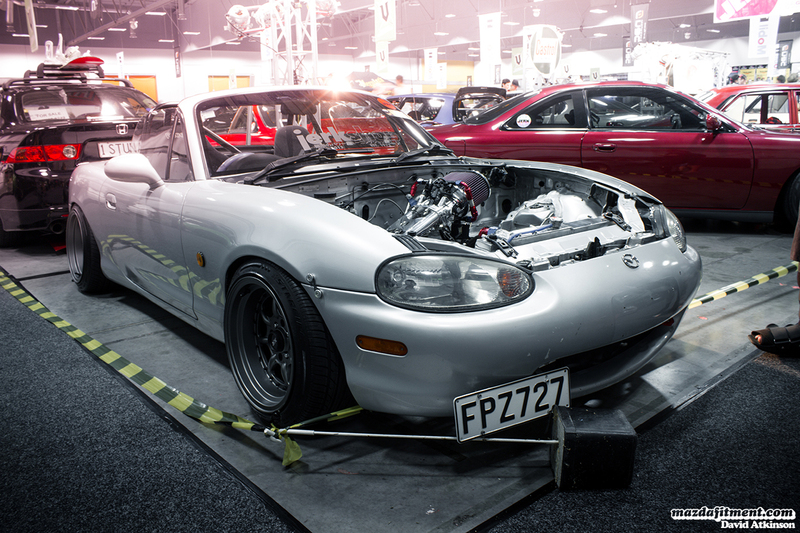 Out in the land of The Lord of the Rings, known to the common man as New Zealand is the annual 4 & Rotary Nationals held in its largest city, Auckland. 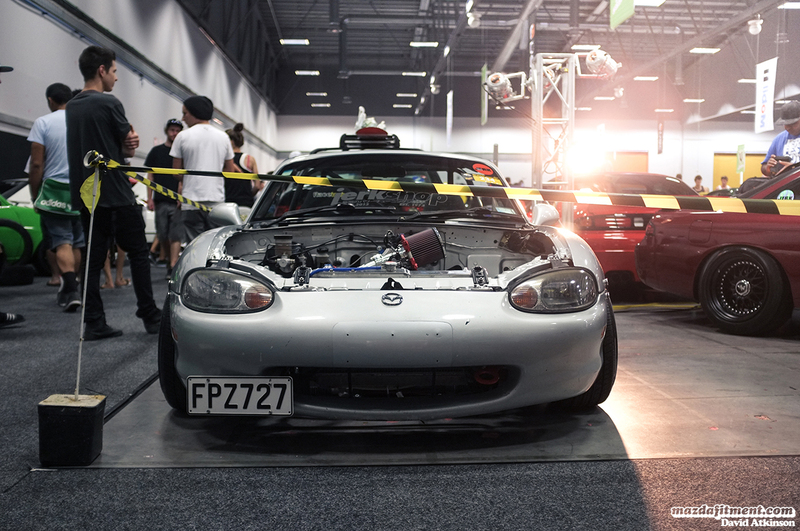 This is one of the biggest events for the New Zealand automotive scene and it lasts for two whole days. Giving everyone a blend of showing off their car builds and speed/drift challenges. 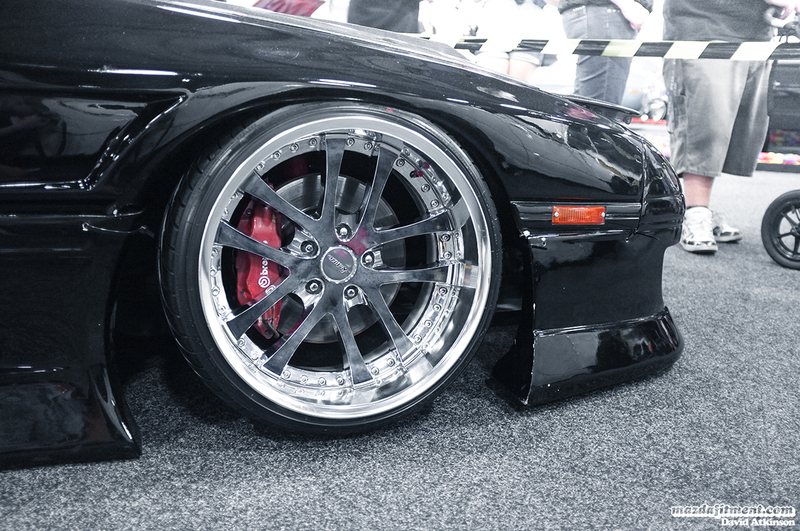 Equipped with BN Sports front/rear bumpers, wing, and rear wide body fenders. Dmax front fenders and hood. 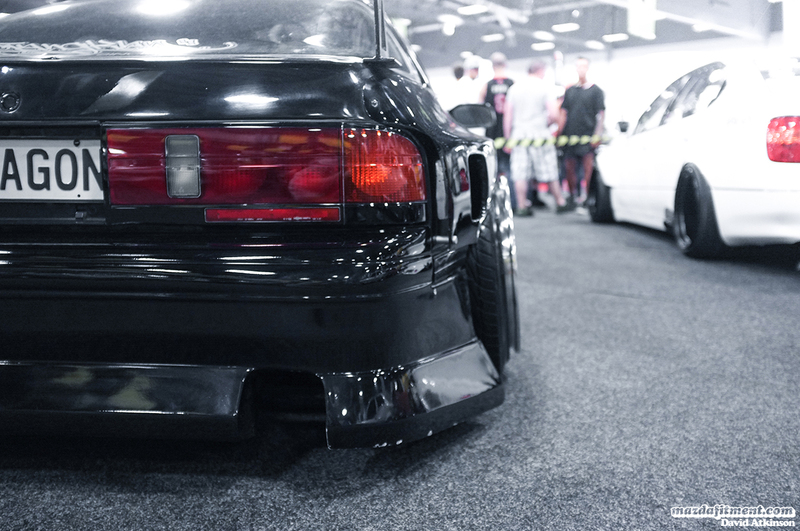 All coming together to create this wide body beast of a FC. Stunting on a set of Weds Kranze LXZ all around. 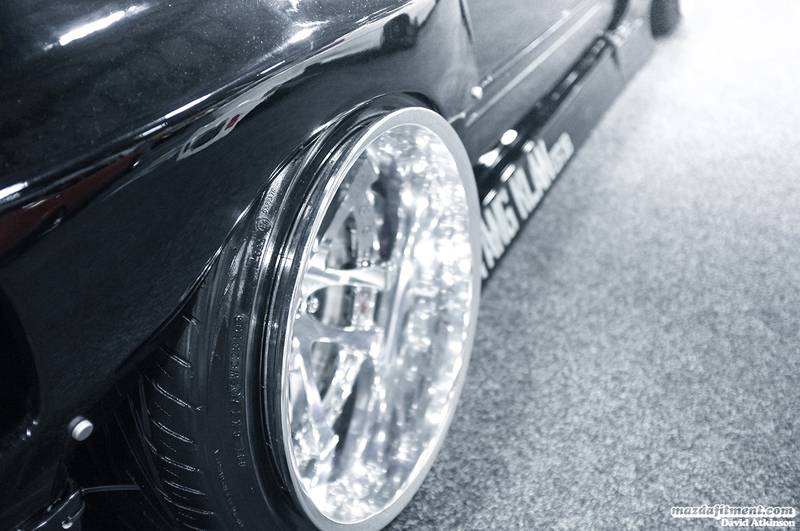 This gives you a good picture of how aggressive Dale’s wheel fitment is even on his wide body. So aggressive that you can see the barrel of the wheel very clearly between the stretch of the tire’s sidewall and rim of the wheel. 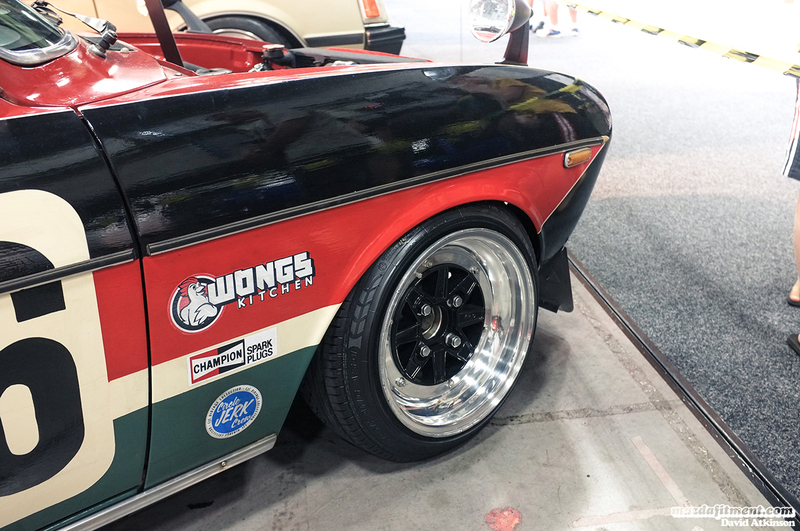 The previous set of rear wheels were 18×11.5 -36 Weds Kranze Bazreia, that should give you an idea on what these specs might be. The front is not as outrageous as the rear with Brembo front brakes and Dmax front fenders. 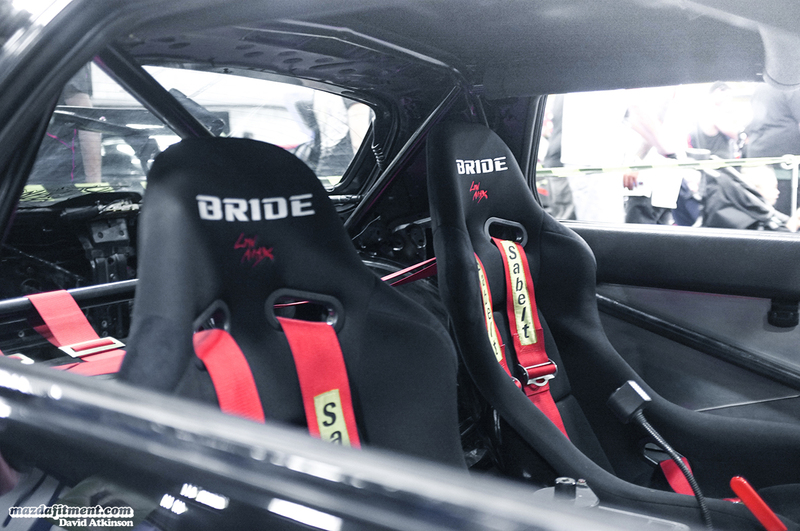 Stripped interior with Bride Low Max seats, hydrolic hand brake, Sparco steering wheel, and more. If you think this is just a show queen, then you are mistaken. 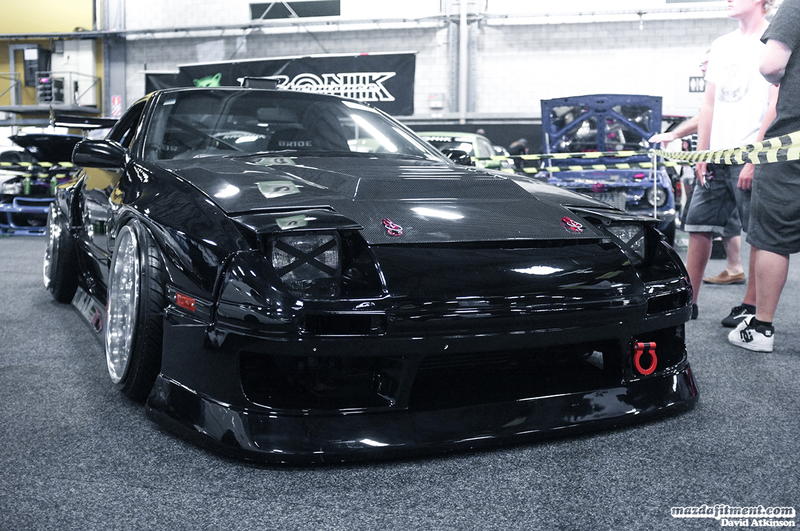 This beast gets drifted hard when it wants! 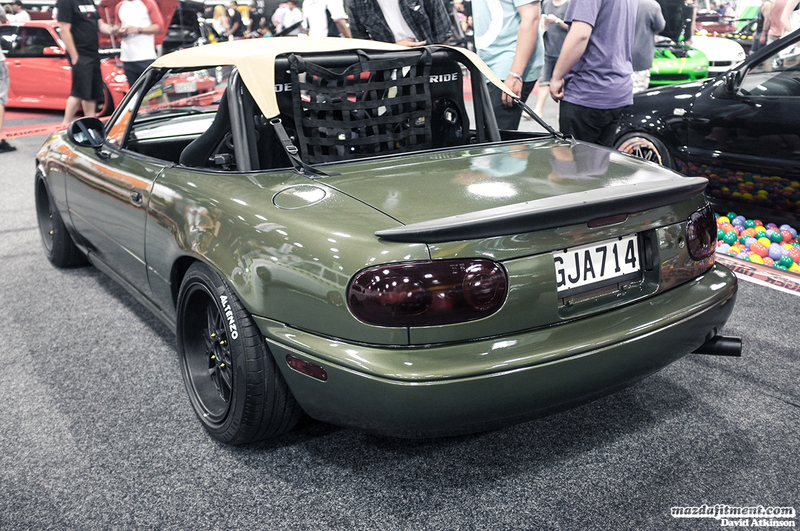 This NB MX-5 (Miata) also got a lot of attention with its low placement NA 13B setup. You could probably eat food of the engine bay. 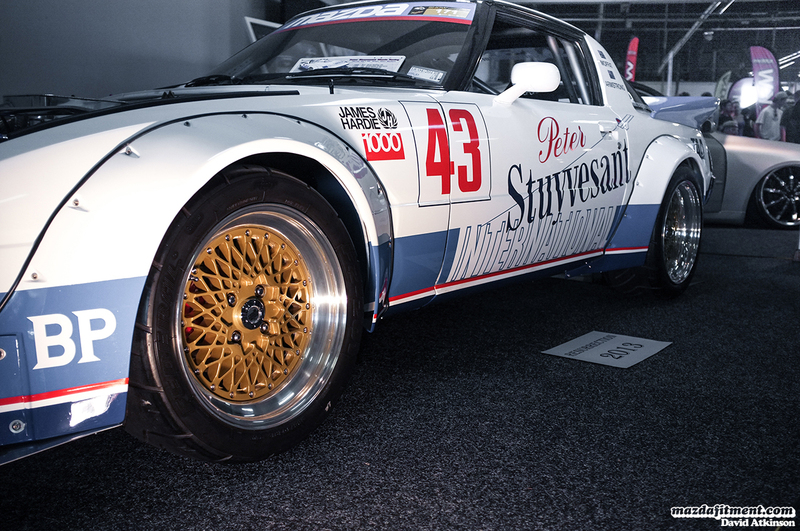 Here we have a definite classic in the heyday of rotary history, the Moffat/Hansford 1984 Mazda SA22C RX-7 on a set of SSR Mesh wheels. 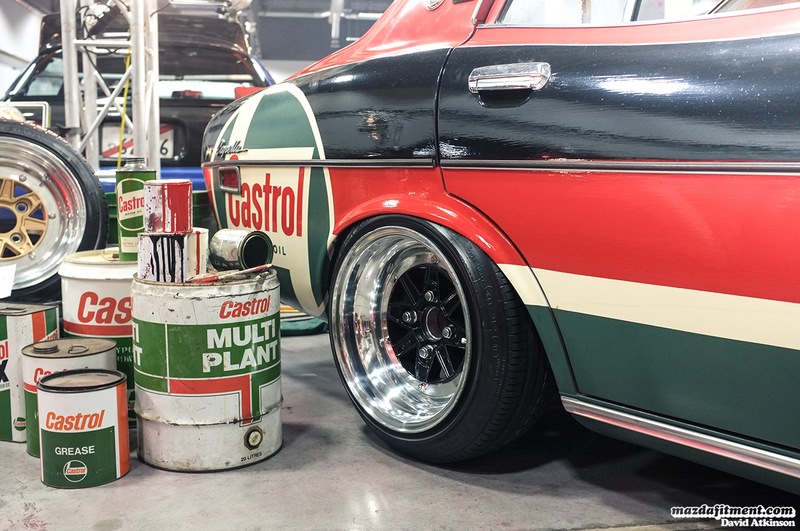 The very clean Riverside / Castrol Mazda Capella (616) with its retro race styling and 13B turbo engine setup. 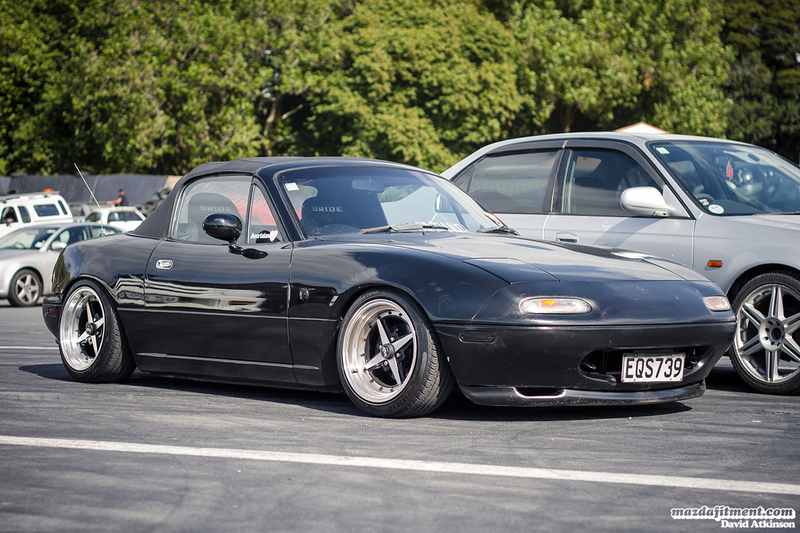 While also keeping it classic with SSR MKIII wheels with Black faces and polished lips all around. 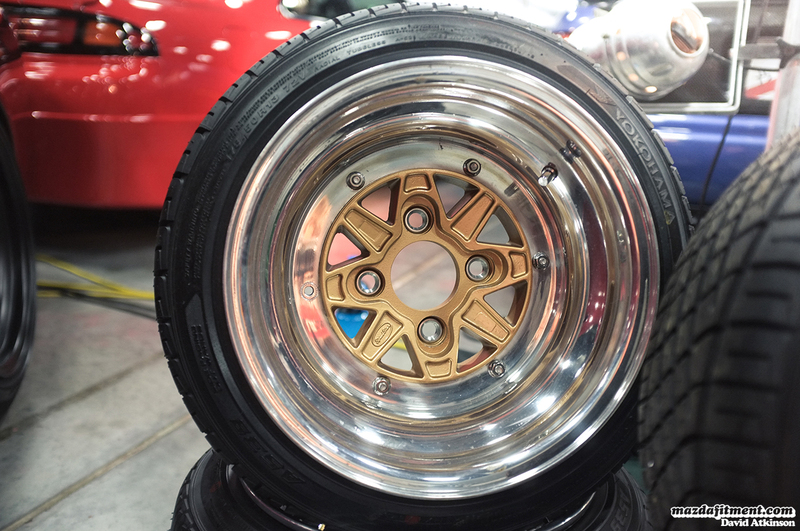 Another SSR MKIII wheels with a Gold face and polished lips. 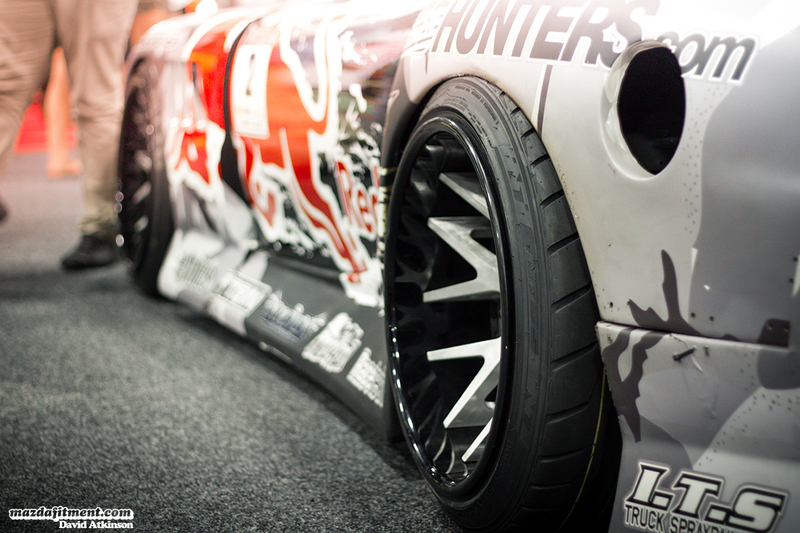 Of course it wouldn’t be a New Zealand event without the infamous Mad Mike. 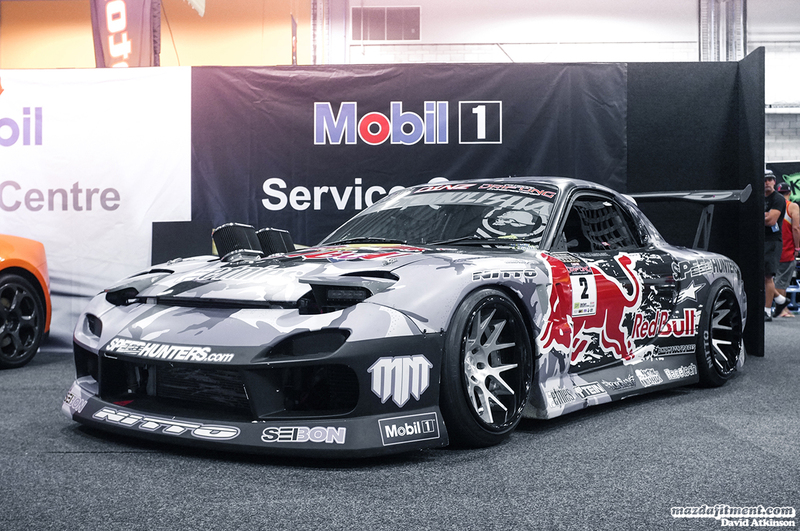 Mad Mike showed off his 26B quad rotor 1996 Mazda FD3S RX-7 on the display floor and his 20B three rotor 2004 Mazda SP3 RX8 on the drift area (not pictured). Rocking a new set of Nessen Forged 7.1 wheels with Black lips and barrels and machined faced. 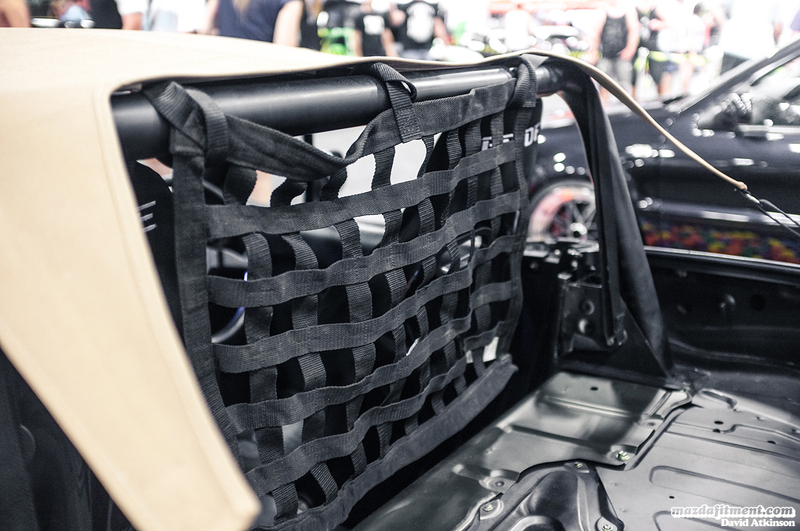 This roadster owner adding a bit more detail to the Project G canvas top with a safety net. Even in the spectator parking lot you could see the cool enthusiast cars.